Mr. 2-17 has an interesting quirk. Before jumping into an hour-long interview, the 22-year-old producer, dancer, and filmmaker faces forward with his palms resting on his kneecaps, eyes completely closed. He does this for the entire conversation. It "helps me think better," he says. Dressed head-to-toe in FILA (except the jeans), the man born Nosakhere Andrews has a Yoda-like sense of calm. He may not see you, but his ears hear every single word exchanged and every ambient sound behind that. It's a stark contrast to the snap-meets-trap-meets-dance of his early aughts production style heard on songs for 2 Chainz ("El Chapo Jr," "Blue C-Note") and Bankroll Fresh ("Walked In"). It's his attention to detail that turned the elementary school comedian who grew up on Gresham Road in South DeKalb into one of the city's best ambassadors for a dance and snap music revival. Mr. 2-17 says his musical journey more or less started when his mom sent him to Kittredge Magnet School "because she said I was too smart." The school switch kept him focused and introduced him to the concert band where he started playing trombone before moving on to tuba and baritone horn. Outside of the classroom, Mr. 2-17's musical influences offered a different education. "On Character Day, I used to dress up as Lil Jon, and this was before I even knew Lil Jon was making the beats," he says. "I just thought he was a rapper. This was prior to me even knowing about the musical factor of making beats." Mr. 2-17 became an apt student of crunk, wanting to mimic Lil Jon and the East Side Boyz in almost every way. After Lil Jon, it was D4L's "Lean Wit It Rock Wit It," then everything from Soulja Boy. "I was the number one Soulja Boy fan — ever," he says without flinching. By middle school and into high school, Mr. 2-17 could see how the evolution of Atlanta dances was influencing everyone. "That really started hood choreography for the dancing," he says. "When 'Crank Dat' came out [in 2007] that's when folks was getting squads and we started choreographing moves." During that time, Mr. 2-17 started providing the sound for himself and his peers who wanted to find their own "Crank Dat" success. But the music was going nowhere despite the talent. Mr. 2-17 found more success shooting and editing video for "In the Streets with DJ Jay T," an interview web series. He met Bankroll Fresh through that side hustle. Bankroll, who was gunned down at a studio in March, helped land Mr. 2-17 his first production credit for "She on It," a bouncy street jam from Spodee featuring Bankroll Fresh and Strap Da Fool of Travis Porter. But Bankroll wasn't sold on just one successful beat from a young upstart. "One thing about Bankroll was he always told the truth," he says. "He didn't like a lot of stuff I was bringing to him." Mr. 2-17 went on the road with Bankroll after he was picked up by 2 Chainz' Street Execs management team. Eventually, Mr. 2-17 found himself closer to the rapper's circle of trust, even running his Instagram account. "I didn't place a beat until a whole year later with 'Walked In,'" he says, laughing. "I wasn't even looked at as a producer. I was still looked at as a cameraman for like nine months." It was "Walked In" that caught the attention of Speakerfoxxx, who was working on the joint project Girls in the Yard with Bosco for Fool's Gold Records. During the recording sessions that would lead to two of the project's strongest singles, "Shooter" and "Beemer," Mr. 2-17 says he spent time with the artists who went beyond his comfort zone, which he says made him a better musician. "I'm not used to folks telling me what to do," he says. "It made me uncomfortable but I loved it. I loved that it made me uncomfortable because I love a challenge." 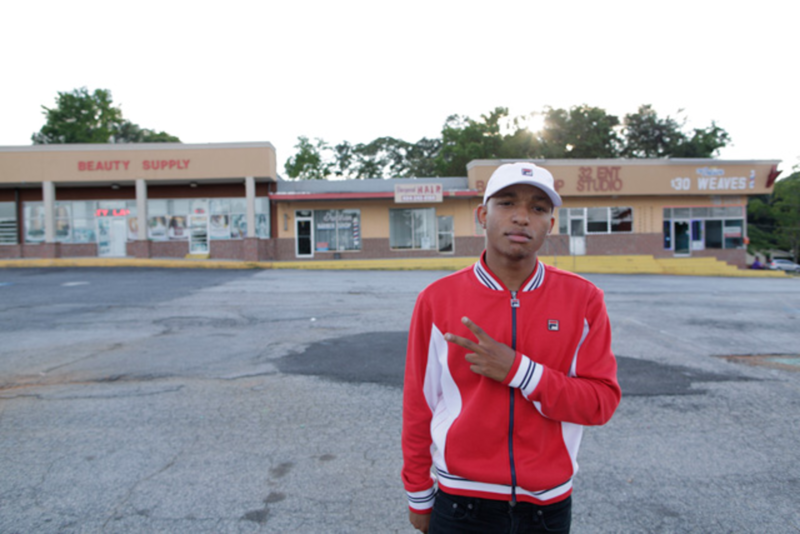 Now the challenge, Mr. 2-17 says, is to "bring the old Atlanta sound back," devoid of trapping, shooting, and everything else the city stands accused of in VICE documentaries. As a producer, Mr. 2-17 remains focused on less aggressive cadences, the all-inclusive pep rally chants, and the dancing of early aughts snap and crunk music. It's a return to the sounds that carried Dem Franchize Boyz, D4L, and Soulja Boy to the top of the charts. "If it wasn't for me making those beats, I don't know what the kids would be dancing to now," he says, eyes still closed. "Right now, I'm going to start with the Atlanta music — that Atlanta old school — D4L. Over time I'm going to start evolving the sound into something else." One could go as far as saying “Walked In” is what broke Mr. 2-17 as a producer. The song helped continue Bankroll Fresh as an artist after the success of “Hot Boy.” The late MC proved he was no one-hit wonder thanks in part to the short camera guy who used to follow him around.